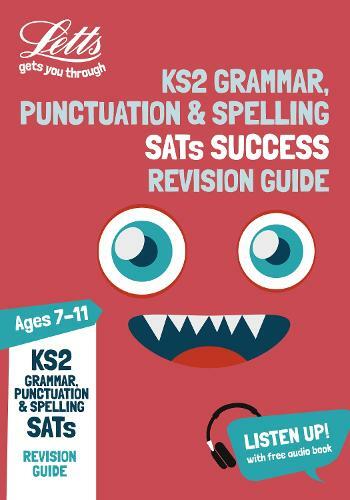 This unique Letts KS2 English Grammar, Punctuation and Spelling revision guide uses three different approaches to help children engage with every topic and revise for success at Key Stage 2. Listen up and learn more with free audio and have a go with hands-on activities. Try KS2 English questions like the ones in the test and pick up top tips along the way. However your children like to learn, Letts will get them through their SATs. Our KS2 English Grammar, Punctuation and Spelling Practice Workbook (9781844199280) is also available for more SATs success.